Are you wondering what to do with yourself on this upcoming St Stephens day? Worried that the hunger hormone Ghrelin; produced by our bodies when it feeling peckish, has forced your brain into ‘making a total pig of yourself,’ as you sought out those delicious tempting high-calorie food stuffs, coming up to and including Christmas day? Dieters please do not throw in the towel just yet; perhaps Thurles Rotary Club can assist you in removing those existing pangs of lingering guilt being experienced; read on. 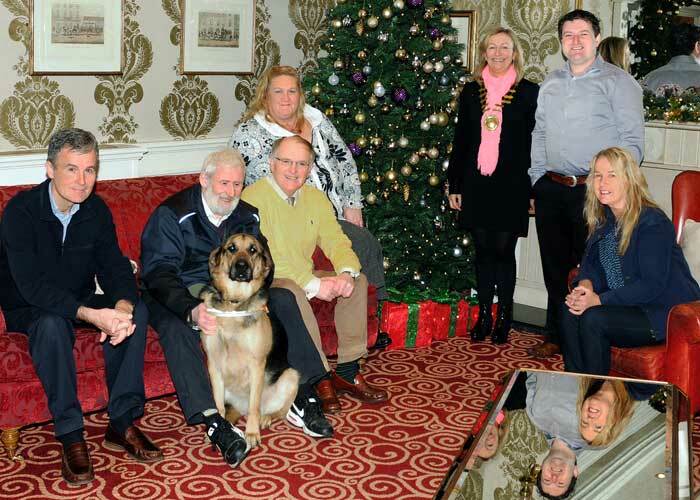 In these difficult times, funding for these organisations has dwindled and Thurles Rotary Club are now determined to support with the funding of upcoming events taking place on St Stephens day 2014. (1) Starting at 11.00am :- A 55k Cycle Event. (2) This will be followed quickly by a ‘Family Fun Cycle’. (3) Starting at 11.30am:- A 10k Walk. (4) Starting at 11.45am:- A 10k Road Race. Please note that Thurles Rugby Club has kindly offered their facilities to assist those taking part; to Park Vehicles, Change Clothing and Take a Shower. After this event a separate draw will take place in the Clubhouse. Entertainment will also be provided for a period of time. Note: Thurles Knights of Malta and Thurles Gardaí are also assisting at all four events, in the interests of health & safety. Please do attend and support with whatever donation you can afford to give. Cheques can be made payable to Thurles Rotary Local Charities.